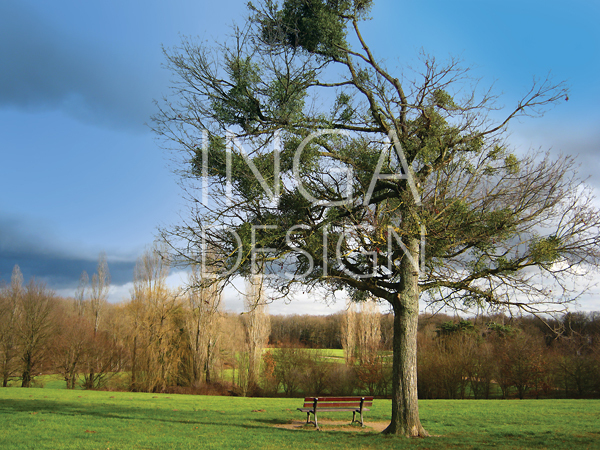 Digital image SOLITUDE depicting lonely tree and park bench in a chilly autumn day. Image size: 3248 x 2736 pxl, resolution: 180 pxl/inch. Royalty free image.